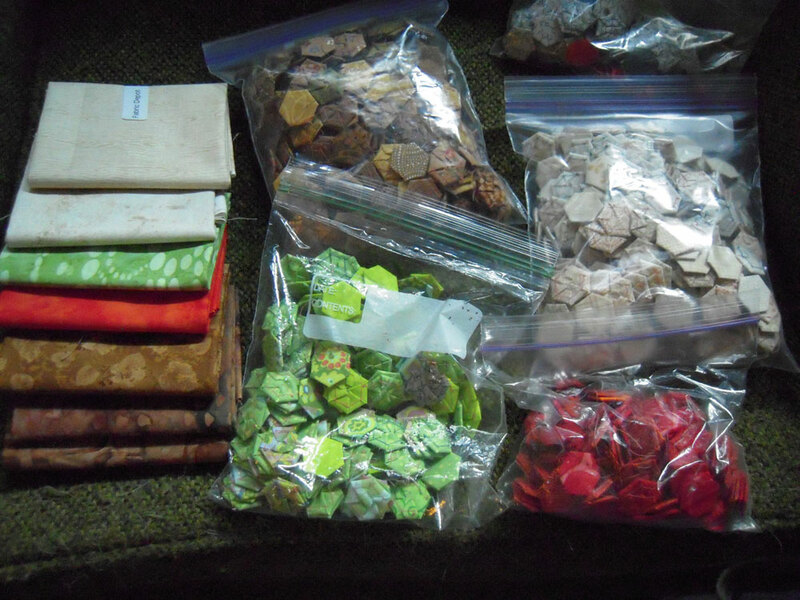 It may not look like much… but there are 1,363 hexies made already ~ that averages 64 a day!! For me, this is a fantastic pace… much faster than my squid quilt. I hope I can keep it up! 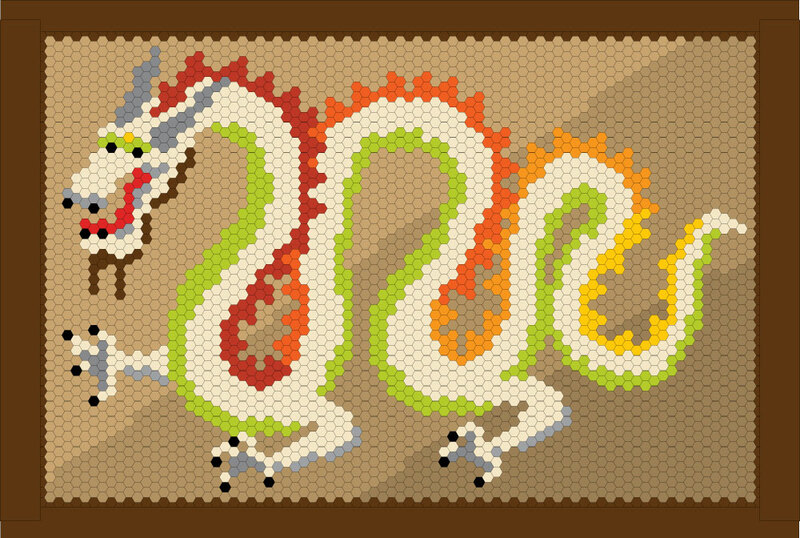 These are all the basic colors of the quilt: creamy offwhites for the body, bright greens for the belly, reds and oranges for the top scales, and golden browns for the background. Looking at this photo, I want to add more oranges to the reds and more blues to the bright greens to round out colors. The most hexies are the golden browns. I have 539 done, and still need 1,522 more. I’ve gone through all my scraps ~ so now I’m on the hunt for monochromatic patterns in these colors. Fabric depot had some fat quarters that will work well ~ I’m interested to see how many hexies I can make from a whole fat quarter… although I prefer using smaller pieces so there isn’t too much of any one pattern. Okay… I’m off to sew a few more! Next PostNext Time To Get Better!